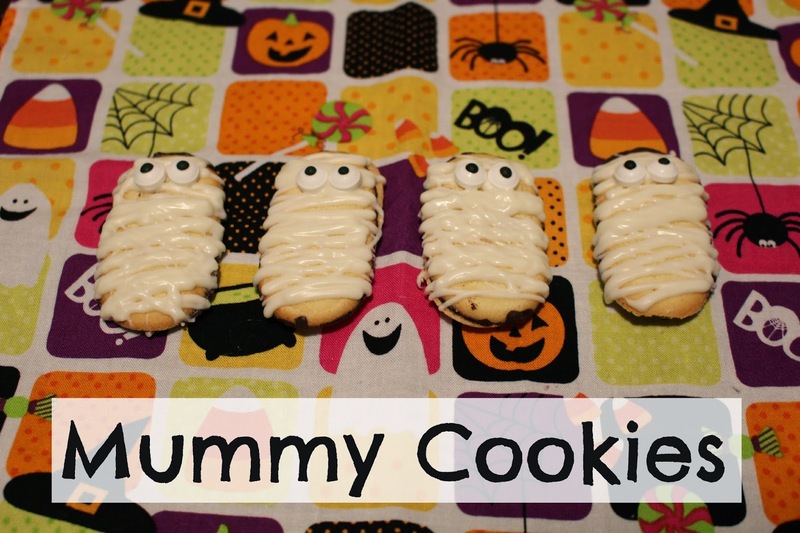 Need a treat you can make quickly and take to a Halloween party? I've got just the recipe for you! I found this idea on Pinterest from The Kurtz Corner and I was super excited to try it out. 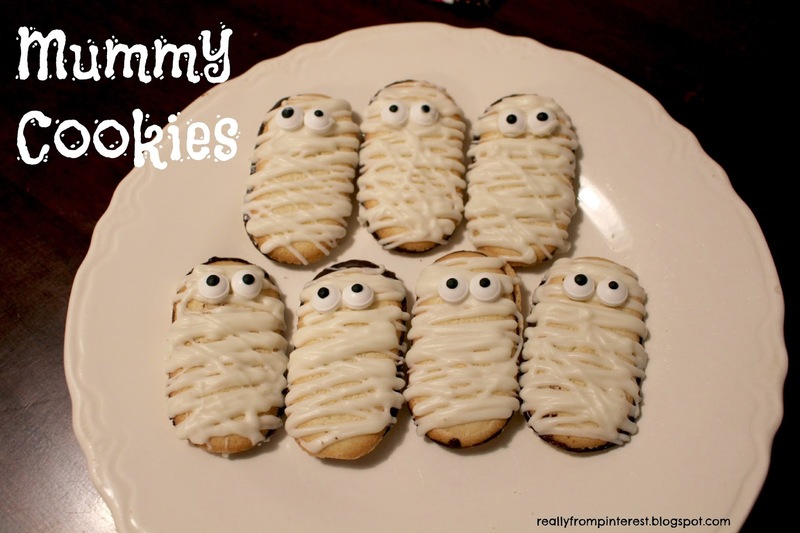 Everyone at work loved these so much I'm going to make them again for our Halloween Party on Friday. Arrange the cookies on a plate or on aluminum foil. Make sure they are fairly close together so you waste only a little chocolate going cookie to cookie. Place the chocolate chips in a saucepan on the stove on medium heat and add a teaspoon of oil to make the chocolate like a liquid. Keep stirring as the chocolate warms and add more oil as needed. Once all the chocolate is melted let it cool before pouring into the Ziploc bag. To easily pour the chocolate into the bag, grab a large plastic cup and insert the Ziploc and fold the edges over, as you would with a trash bag on a trash can. Cut one of the corners of one of the Ziploc so it has a small hole to drizzle the chocolate on the cookies. I put chocolate on a few cookies and then before it cooled added two candy eyes. I also had to add a second layer of chocolate to a few of the cookies.